To most of us, a bra and sanitary items are essentials, not luxuries. For the homeless, disenfranchised, elderly and domestic violence impacted women of Australia, it’s often a distant dream. 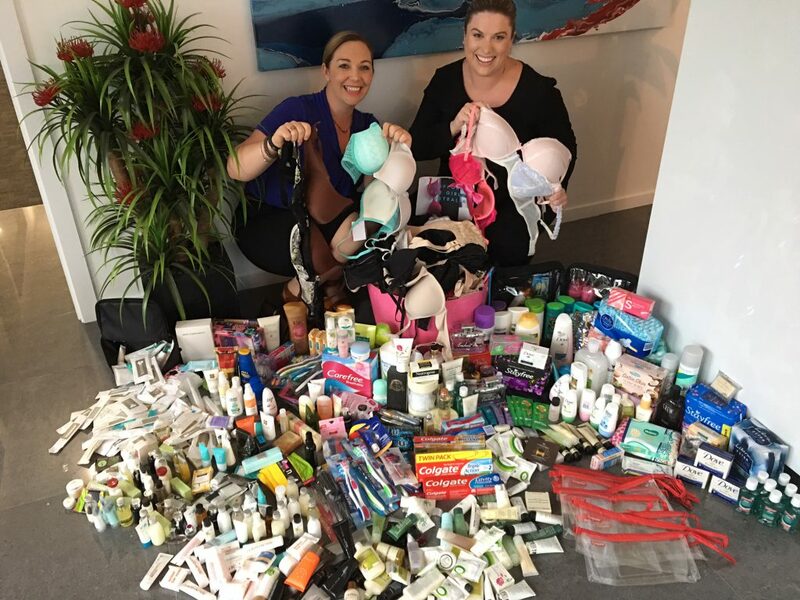 HiRUM recently leapt to ‘Support the Girls’, and help the disadvantaged women of Australia, encouraging staff, clients and friends to drop off new or gently loved bras, new toiletries, underwear and sanitary items, to be distributed to local Gold Coast women in need. We were completely overwhelmed by the positive response from everyone, with the collection of 100s of dollars-worth of essentials. We are looking forward to dropping off all the amazing donations to ‘Support the Girls’, and I am sure they will be thrilled. A big thank you to everyone for their generous donations, in particular, Felicity & Sara from ‘Champagne for Breakfast’ Lingerie based on Chevron for providing a bucket load of new bras. ‘Support the Girls’ is always looking for donations, so if you missed dropping your items off to HiRUM, you still have the opportunity to contribute. Visit www.supportthegirls.com.au to learn more. Rebecca and Makaila from HiRUM (below) are overwhelmed with the number of donations – thank you everyone! Jane Holmes (right) from ‘Support the Girls’ visits the HiRUM office to collect the generous donations from HiRUM staff and friends.